My Thoughts From The Deep End : Wild Dogs! It is my belief that a person can go on hundreds of game drives over the course of his or her life and never be bored. Hopefully the same applies to people who read a blog that contains frequent posts about game drives. Hopefully it does not become boring after a while. I think game drives are like snowflakes, fingerprints and zebras in that no two are alike. Sometimes game drives are action packed with many different sightings. Sometimes they are thrilling as you may watch an animal stalking prey. Other times, you may quietly watch an animal as it relaxes, drinks from a water hole or minds its babies. 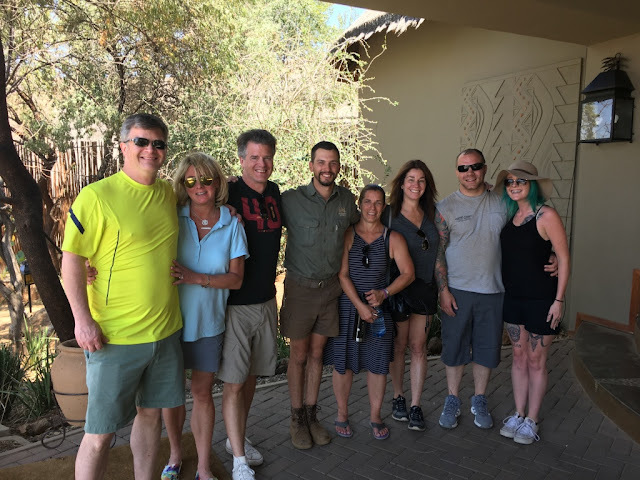 Recently we brought family visiting from the U.S.A. to the Ivory Tree Game Lodge in Pilanesberg National Park. It was the first safari experience for the group and I am happy to say everyone loved it. Happy because as SVP of Household Operations, I planned the whole holiday. Our guide, Ryan, was excellent and we had many exciting and special sightings. On the first game drive after dark we spotted a leopard. Leopards are not something that you see everyday and we tried to tell our guests that but they were too busy being amazed to listen. Mr. Deep and I have heard stories of people who are desperate to see a leopard because despite years of trying they never have. Sometimes within minutes of the start of a game drive something fantastic happens, right out of the gate as they say, and that's what happened to us the day that we spotted a small pack of three African wild dogs. Ryan called wild dogs the "holy grail" of game viewing and he was so excited that we got to see them that he took out his camera out and was taking pictures. He said it had been three months since he had seen wild dogs. When writing this, I couldn't remember why exactly wild dogs are such a rare sighting so I had to ask resident expert (on everything) Mr. Deep and he explained that they are endangered, have very large territories, move quickly and spend time hiding in dens. Ryan told us that the three that we saw broke away from a larger pack. We watched them for a long while and eventually they came closer enabling some super photos! While the cheetah is the fastest land animal, wild dogs can run very fast (up to about 35 miles per hour) for long periods of time. Cheetahs cannot run fast for extended time periods. Wild dogs hunt in packs and are considered to be the most efficient hunters. While in Pilanesberg we also enjoyed some more animal sightings. 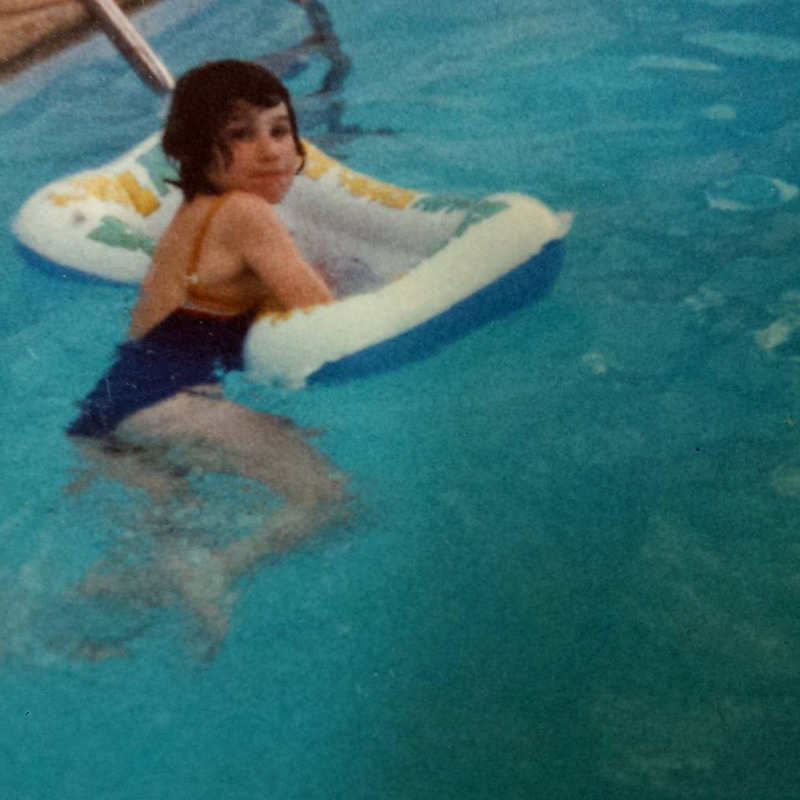 Hippo out of water. Another rare thing to see. Yes the birdman is still at it. Weaver bird building a nest. The family with ranger extraordinaire Ryan.